Maybe I’m just incapable of finishing things? In knitting, it’s called Startititis – the urge/disease/need to start new projects, usually before finishing ones in progress and usually more than one or three or five at a go. It’s no breaking news story to say I love starting new projects. I love the thrill of thinking of something new – the “can we?”, “would it be possible to…”, “what if?” I love pitching ideas to people, bringing them on board. I love the possibility and potential that new projects bring. I love the idea that I could be the person on the other side of starting a new habit or routine, the person who just is or does [whatever]. But I’m not so good at follow through. I’m not so awesome at taking things through to the finishing line. My most classic example might be my first postgrad attempt where I built the mathematical model, I played with it for 2 or 3 years, even published a paper in a pretty good academic journal, then I saw the problem I was solving through to the end *in my head* and I was good. I knew how the story ended. And I lost interest. Anyone will tell you the thing about a PhD, the thing the actual piece of paper says, is that you can complete something. In my life, I’m surrounded by half started projects. Let’s see. I’m sitting at my coffee table. 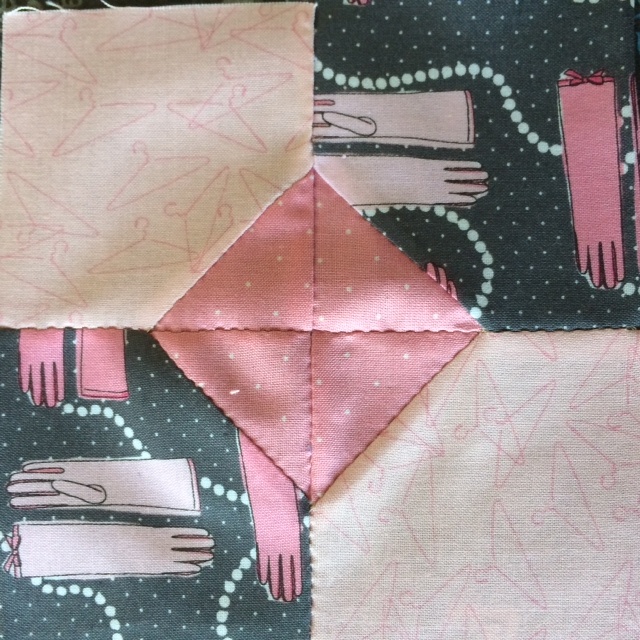 Let me tell you what I can see by looking around and without getting up or moving in any way –> to my left there is a started quilting project (the top was finished more than two years ago but never made it’s way to being quilted) and a block of my Solstice quilt with half a border. Panning right is a bookcase that is only partially sorted and some wedding gifts yet to be homed. In front of me are about 6 TV series I’ve started but not continued (yet). And on the table are pieces 4 different craft (quilting and knitting) projects, the rest of the TPP financial bank statements etc from 2014 that are yet to be formally processed (balanced against records, entered into financial software packages and spreadsheets and royalties statements), a book I finished reading and want to write a Goodreads review for and a whole pile of To Do Lists in various states of untidiness. On the printer is a shopping list for a cake I want to bake for Mothers’ Group on Weds. And to my right are receipts that were partially sorted a few days ago. And I’m not even sitting at my study desk. But I’m always striving to hope towards being better. You know how it is. As I mentioned previously, a couple of weeks ago we signed up for a program to help us organise our house in a structured way. We aren’t moving at the pace of the program but we’ve made enough progress that I’m starting to get inspired and hopeful we might be turning a corner. The other Alisa lives in a Vogue magazine spread. In whites and eggshell blues. I can see though that when you start to *feel* like you’re gaining control, that helps you gain momentum. It’s quite interesting how important it is how you feel rather than how it is for this stuff. In the GTD school of thought, just sitting down and corralling your to dos makes you feel accomplished. You don’t even have to do any of the items, you just feel back in control simply by emptying your head and itemising them in some way. So with this thinking in mind, I decided last week to try that piece of advice (was it Mark Twain?) – eat the frog first. Find the thing you least want to do, that you are most avoiding or will be the hardest, and do that first in the morning. Normally, and in Michelle Bridge’s 12WBT, that’s supposed to be exercise. Get it out of the way up front etc. And look, I’m not that person so I’m not even going to pretend to myself that that’s what it will be. But last week, every day, I tried to start the morning, especially over my first cup of coffee, to do something I had been seriously avoiding. And wow! That was an interesting exercise. Not every task when completed made me feel awesome. Some things you avoid because you know you have to tell someone something they don’t want to hear. But getting it over and done with was good. And it wasn’t quite as confronting an exercise as I thought it would be. I actually got a lot of things done. And progressed things that had long been shelved. And it did open up a bit of a floodway in that last week was the first week in a very long time that I actually had really long moments (hours) of feeling “in the flow”. I’d forgotten how great that felt! So productive! And exciting! It had the additional result of having me think about *why* I was avoiding particular things. One of the things I’ve noticed about how my email inbox can build up is that I don’t like making decisions. Not that I’m indecisive or incapable of making decisions but the act of sitting down and actually thinking something through to a decision feels like hard work. “Oh that requires *thinking*. No time for that now!” But actually the thought process ends up taking less than 5 minutes when you finally sit down and do it. Sure, it might mean you have to admit there are 5 or 25 actions that are required but … you know, otherwise, you don’t really want to do whatever it is you are looking at. And usually, once you itemise the actions required, you find yourself doing them without even noticing. Like, “Oh well I need to email … may as well just do that now …” etc. Or the admitting you have to tell someone no or that you can’t do something. That for me is usually the hard bit. Once I’ve done that, I can actually write the email or make the call. It’s the admission that is hard. So I’ve found that for me a lot of the procrastination is in the required thinking through of something and making a decision on how to act. Once I’ve done that … whee … I’m in flow. Building onto that is what I’ve been focussing on over the last few days. Is it true that I just can’t finish things and if so, why? I’ve noticed that I can’t finish a novel, for example. That I haven’t finished a book in over two years. Even books I’m enjoying. And a friend of mine mentioned to me one day last week that a mutual friend of ours is now reading 3 books a week just by not doing anything else. And I thought, wow, when did I last finish a book and is it because I “distract” myself with things like TV and craft etc? Have I given myself a short attention span by not staying long attention fit? And … is this the issue I’m having with my reading for my PhD? And … what about all these other things I start but don’t finish? What do I lack? Is it attention? Is it staying power? Commitment? Who am I? And where is my mummy? The only thing to do was to challenge myself to finish a novel. To just keep bringing myself back to that task. And I did it! (See finished book above!) I finished a book. Wow. 1 frigging book. I proved to myself that I can in fact do it. Good. Though this isn’t enough. But I think shows that I’ve shortened my attention span in the way I interact with things in my world. Yes yes I mean Facebook and Twitter. And only half reading pretty much any article I click on. 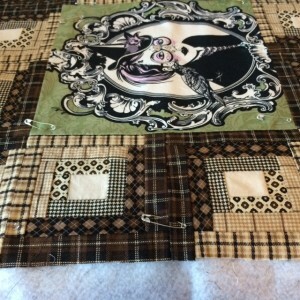 So I’ve challenged myself to finish a whole bunch of started projects in my house. For the rest of the year. And then I’m going to post a list as my end of year summary – what did I actually finish this year. And as with all things, it’s not so hard. It does involve thinking through why I’m not finishing something and figuring out what the next action is and sometimes holding my hand though the decision. 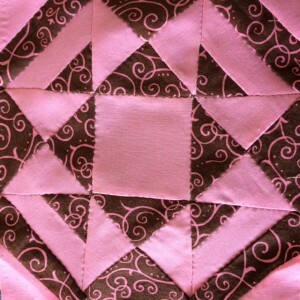 Here’s the quilt top that was finished over two years ago but not ever actually progressed further. It turns out, I just needed to admit that backing material I’d bought was in fact backing material and the world would go on if I cut it up. And then I just needed to measure and cut. And layer batting in between. And then pin it all up. 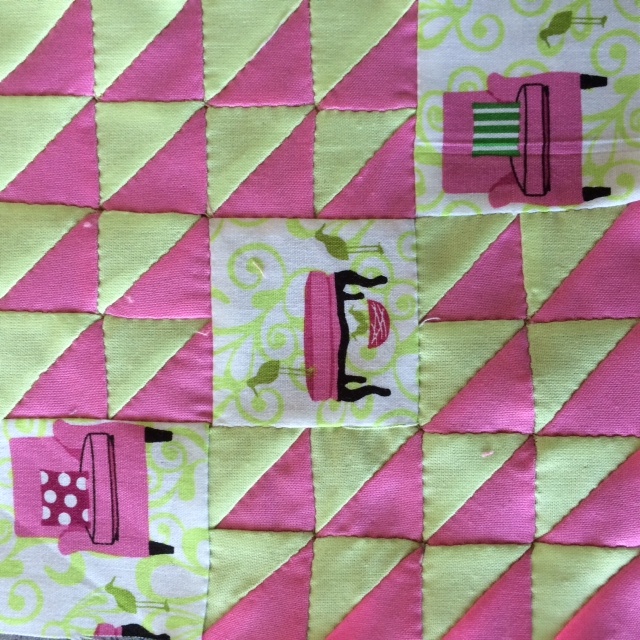 And get out the quilting hoop. And then … begin quilting. Time taken to get to this point? Over two years. Time taken to do all the above? Less than 15 minutes. The trick it seems is to ask yourself “What is next?” and when you brain says “I can’t do X because I still need to do Y”, to then ask yourself, “Well, what do I have to do to get Y?” It’s usually not as hard as your brain likes to pretend. 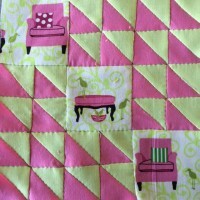 Here are last week’s finished Farmer’s Wife Sampler Quilt blocks. The bow tie ended up too small and I’ve fixed this by just creating a new (third) border size to frame it (and several others that are also undersized) to bring it up to the same size. It’s not perfect but it will do.